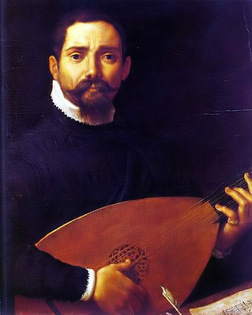 Giovanni Gabrieli (ca.1556-1612) was an Italian composer and organist. He was one of the most influential musicians of his time. He was original not only in his use of instrumentation, but in his development of dynamic markings. His Sonata piano e forte is possibly the earliest piece to use dynamics.